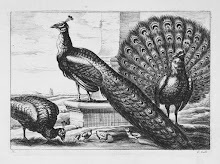 Perugian born Cesare Ripa (1560 -1622) wrote Iconologia, an emblem book depicting allegorical figures of virtues, vices, passions, arts and sciences. 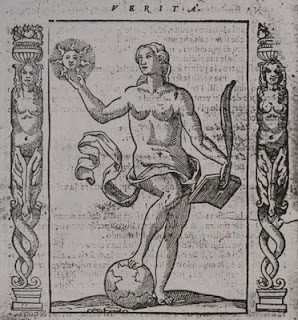 The woodcut Verita personifies truth as a naked woman holding the sun in her right hand while standing on a globe of the world. In her left hand she holds an open book with a palm leaf. The sun represents the clarity and illumination of truth. French figure painter Jules Joseph Lefebvre (1836-1911) replaced the sun with a mirror reflecting the truth in his La Vérité. The French-Russian theatre actress Sophie Croizette (1847-1901) modeled for the painting. Nuda Veritas or Naked Truth by Viennese Secessionist Gustav Klimt (1862-1918) is accompanied by a quote from German poet, novelist and composer Leopold Schefer (1784-18620), "Truth is fire, and to speak the truth means to shine and to burn".